The Cork Business Association (CBA), Irish Hotels Federation Cork (IHF), Vintners Federation Cork (VFI) and Restaurant Association Cork (RAI) have joined forces to call for ‘certainty, accountability and meaningful communication’ on the long-awaited Cork Events Centre. The business organisations said that it is imperative for future planning and sustainability in Cork that the development of the 6,000 capacity multi-purpose venue begins immediately. Development of the Centre, which saw the sod turned on its site three years ago, has been thwarted by delays which have seen costs soar from €53m to almost €80m, and sanctioned a State investment increase from €20m to €30m. Further delays have been caused due to legal issues and the €9m repayable loan element of the State funding. according to the latest figures from Cork Convention Bureau. “Imagine what we could deliver with a dedicated multi-purpose venue with six times this capacity. It will not only make Cork a destination city nationally and internationally, but it will help retain concert and event business in Cork, giving our community the opportunity to spend their hard-earned money with local businesses. “It will also speed up the regeneration of the North Main Street / Marsh and will create much greater vibrancy in the city in the evenings, dramatically changing our night time economy. The business groups said that “growth in the city is currently impeded as we wait for answers. There will be a detrimental impact on several industries and the local economy if there is further stalling of the process. The IHF announced last week that there is a very real danger that there will be an oversaturation of hotels on the market. “The accommodation market is just not sustainable at the rate it is growing without the addition of the convention centre. “More than 1,500 new bedrooms are already in development or in the pipeline for Cork City, which would provide a 50% increase on the number of existing rooms currently available. In addition, there are 4,000 AirBnB units now in Cork and additional summer lettings will also be offered at the new student accommodation being built. “Whilst this is great news for the city, as it would cater for a significant increase in visitors and generate many local jobs, the increase in bedroom provision could over-saturate the market if the events centre does not get underway soon. And we cannot jeopardise this much needed investment in our city and the creation of jobs. “Already investment in the city is also being put on hold. There is potential investment earmarked for the neighbouring Marsh/ North Main Street area but that investment won’t be made until the Events Centre is underway. The group said that the economic benefits the Cork Events Centre would bring to the city would also offset the €9m loan to be paid back to the State by Cork City Council. “There are 10,000 new jobs and people projected to come in to the city in the next five years and an events centre is an important part of the infrastructure. It’s an important foundation stone for the future of Cork that will speed up regeneration, dramatically change the night time economy and have real and sustained positive benefits both socially and economically, but the whole city is on hold waiting for it. Cork (IHF), Vintners Federation Cork (VFI) and Restaurant Association Cork (RAI) represents more than 500 businesses in Cork City. Pure Cork is launching a campaign in association with Tourism Ireland to actively encourage more French tourists to choose Cork as a destination. This is part of a wider strategy to extend the tourism season in the region. The announcement was made at the recent Pure Cork Tourism Industry Day held at Vienna Woods Country House on 27 February 2019, which was attended by nearly 200 people working within the tourism industry in Cork. At the event, Visit Cork, the public-private partnership that promotes Cork as a destination for leisure (Pure Cork) and business tourism (Cork Convention Bureau), announced their achievements to date and plans for the coming year. Head of Visit Cork, Seamus Heaney, illustrated the value of tourism to the region, highlighting that tourism currently supports almost 22,500 jobs in Cork, with more than 800 tourism businesses, festivals and events currently listed on the new purecork.ie website. He encouraged all businesses to upload details of their tourism business, festival or event to the website, and to engage with their social media channels, so they can be actively supported by team at Pure Cork. In 2017, €833 million revenue was generated for Cork through overseas and domestic tourism, and in 2018, 1.7 million tourists visited Cork (equating to the generation of 200 jobs) while €13.2 million was generated through conference and business tourism, with a further €14m in the pipeline for 2020. “Business tourists are high end and high spend”, said Ciara Gallagher from Meet in Ireland. Pure Cork is now undertaking a number of initiatives, working with Fáilte Ireland and Tourism Ireland, to collectively sell Cork as a destination. This includes targeting new markets that are directly serviced by airline routes into Cork Airport. The tourism body is specifically targeting five key geographical areas: regional UK locations outside of London, the north east of the USA, domestic ‘staycationers’, and visitors from France and Germany. With two flights now servicing Cork almost daily from Paris, operated by Aer Lingus and Air France, Pure Cork sees this as one of the biggest opportunities for growth, hence the reason they are developing a “deep dive” into the French market. 46% of all French visitors are from the Paris region and there are currently 2,200 airline seats in to Cork per week along with 1,000 ferry seats. Speaking at the event, Monica Mac Laverty, Southern Europe Manager for Tourism Ireland, said French visitors average a 10.3 night stay in Ireland, which is significant. They also tend to travel from April-June, which would extend the tourist season in Cork. “There is an extremely strong opportunity to develop tourism from France for the Cork region, especially with direct access from Cork airport, which is key”. Ms McLaverty said that Tourism Ireland is working in partnership with Pure Cork to convey the depth of the tourism experience available here. As part of the promotional initiative, representatives from Pure Cork will attend or host a series of events in France to highlight Cork, including a St. Patrick’s Day event on the Champs Elysees with the Irish Ambassador in France on March 14th and other engaging events yet to be announced in Bordeaux and Paris. Key media and tour operators from this region will also be invited to visit Cork in the near future. A presentation was also given at the event by Josephine O’Driscoll, Fáilte Ireland, Wild Atlantic Way Programme Manager. The average growth in hotel occupancy in the Cork region in 2018 was +3% and Revenue growth was +6.1%, according to Fáilte Ireland figures. In 2018, Cork attractions reported average year on year revenue growth of 21% and visitor numbers growth of 33%. Cork accounts for 9% of bed stock nationally, 12% of domestic trips in Ireland, 11% of domestic revenue in Ireland and 18% of overseas tourists to Ireland. Cork currently places third in Ireland for overseas tourists after Dublin and Galway, and second in terms of overseas tourist revenue after Dublin. Pure Cork sees huge growth in immersive experiences, dynamic packaging (hotels and attractions working together) and the night-time economy. They are encouraging businesses to create exciting experiences and offers in the evening to ensure overnight stays and a longer dwell time for tourists in the region. Mr Heaney said the main aim of the event was to encourage everyone working in tourism in Cork to promote Cork and the Pure Cork brand collectively to grow the industry for the benefit of the entire local economy. “Pure Cork is about all of the Cork tourism industry pulling together in the understanding that by pulling together we can do better – Ní neart go cur le chéile – Fior Chrocaigh,” he said. 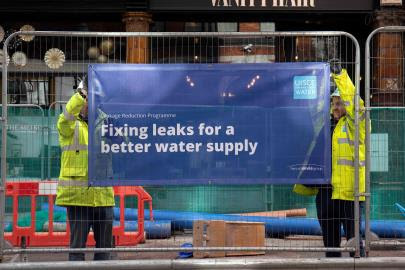 Please note this update as we reach the end of the seventh week of Leakage Reduction Programme works on MacCurtain Street, here is some feedback we have received on the progress of the project. The temporary traffic management arrangements have allowed the contractors, Coffey Northumbrian Ltd., to progress on schedule on the south side of the street. Road users who were initially apprehensive about using the bus lane have become accustomed to the new arrangement and traffic is now moving well. A Coffey Northumbrian Ltd. employee is manning the lane in order to facilitate the flow and aid with set downs or deliveries. The installation of the new water main has progressed thus far without any major issues. The excavation works did unearth two leaks in the existing main, exhibiting the importance of the works in improving water quality, security of supply and reduction of leakage. These leaks were repaired allowing the old main to continue functioning until the completed upgrades are commissioned. These leaks were being temporarily contained by the pressure exerted by surrounding material. However this would have given way over time leading to major leaks and disruption to water supply in the area. In the case of any unforeseen changes to the current programme of works you will notified as soon as possible. The works have now reached the far end of MacCurtain Street and the junction with Summerhill North and the Lower Glanmire Road. The routing of the water main on the Lower Glanmire Road, which the new water main on MacCurtain Street must meet, requires a crossing of this junction from the south side of MacCurtain Street to the north side of the Lower Glanmire Road. To facilitate this crossing, night works will be undertaken under permission granted by Cork City Council and An Garda Síochána. A stop go system will be put in place from 20.00 to 06.00 from Monday 25th February to Wednesday 27th February and 22.00 – 06.00 on Thursday 28th February and Friday 1st March. This system will be monitored and re-assessed on a continual basis. The crossing works planned should be completed within this timeframe. Daytime work on this junction would severely impact traffic flow and therefore night works will have the least impact when crossing the junction and connecting at this complex service juncture. This will ensure we can have business as normal as access into and out of the city will not be interrupted during the day. The construction works related to the new Harleys Street Bridge between St. Patricks and Merchants Quays require a 6 week road closure of Harleys Street. We have secured access during this closure to install the new water main on the street. This prevents the need for any further road closure on Harleys Street to enable our works. 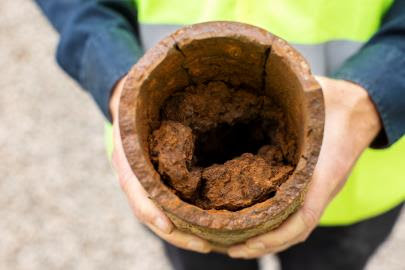 The water mains renewal works on this Street began on Thursday 21st February and estimated to take approximately one week. Works on York Hill have progressed as expected this week. The laying of the new water main is expected to be complete by Monday 25th and the road closure lifted by the following morning. Service connections are then required to be undertaken at this location but this will not require a road closure. A work crew will therefore still be visible on York Hill. Organised by Cork City Council, The Cork St. Patrick’s Festival will take place from March 15th to March 18th 2019, with over 50,000 visitors expected to attend the Cork St. Patrick’s Day Parade on Sunday March 17th, celebrating the theme ‘Stories of Cork’. Throughout the festival weekend, Cork will be a hive of activity with traditional Irish music from the Lee Sessions, exhibitions celebrating Irish culture, plus theatre, music, guided tours and talks. The Cork St. Patrick’s Day Parade will be a vibrant carnival of colours, music, marching bands, amazing floats and community groups with up to 3,000 participants taking part, including some visiting from the USA. Commissions by local arts organisations Cork Community Art Link and Dowtcha Puppets, plus national groups such as Spraoi, Buí Bolg and LuxE are in progress, creating innovative floats celebrating the theme. Along with the entertaining flock of Cork Gulls created by Dowtcha Puppets, who have been working for weeks with local performing groups and St John’s College, a huge puppet of St. Patrick will accompany them on the route. Cork Community Art Link will present a series of very “Cork” buildings who will roam the streets of Cork. There will be six floats of various sizes, each telling its own story through puppetry, performance and pop-up characters. These floats are being produced in conjunction with 11 local groups including Enable Ireland, The Brook Centre, Farranree Springboard, National Learning Network and Cork City Firebirds. National arts organisations joining the parade in Cork include Waterford performance art group Spraoi, which will celebrate the origins of the word “langer” by unleashing a ‘langur monkey’ onto the street of Cork, while theatre performers from LuxE will tell the story of Sunniva, the Cork princess who became the patron saint of Western Norway. Joining Corkonians from the United States for the Parade will also be marching bands from Indiana, North Dakota, Colorado and New York. The parade will begin at 1pm on St. Patrick’s Day. Full details of parking, park and ride bus facilities and traffic restrictions will be available on www.corkstpatricksfestival.ie in advance of parade day. See Facebook @corkstpatricksfestival and Twitter @corkpaddysfest for updates and details of other activities to enjoy over the weekend. Cork’s RedFM and the Evening Echo are Media Sponsors of The Cork St Patrick’s Festival 2019. Cork Airport, Ireland’s fastest growing and most punctual international airport, welcomes the announcement today that Ryanair has added four new services to its Winter 2019 schedule. The airline’s passenger numbers at Cork Airport are also forecast to increase by 17% this year, its largest increase among all Irish international airports. The airline has extended its summer services to Alicante, Budapest, Malta and Poznań, twice-weekly for the forthcoming winter season. An estimated 1.2 million Ryanair customers will pass through Cork Airport this year, up 17%. Cork Airport is entering its fourth year of consecutive growth, with passenger numbers set to rise by 8% this year. It is forecasted that 2.6 million will travel through Cork Airport in 2019. Niall MacCarthy, Managing Director at Cork Airport said: “We are delighted with today’s announcement from Ryanair and in particular its commitment to extend its new Summer 2019 routes of Budapest, Malta and Poznań for the winter season. Over 50 routes are now on offer from Cork Airport across the UK, Continental Europe and the east coast of the USA. Global aviation analysts OAG recently revealed that Cork Airport topped the punctuality league for international airports in Ireland in 2018, with an on-time performance of 80.2%. Visit Cork is a public-private partnership that promotes Cork as a destination for leisure (Pure Cork) and business tourism (Cork Convention Bureau), is hosting a briefing session for those involved in the tourism industry on Wednesday 27 February at Vienna Woods Country House. Anyone with an interest in tourism or in attracting visitors to Cork is invited to attend the Tourism Industry Day, from local community and tourist groups, to festivals and events, to accommodation and experience providers, for an update on Pure Cork’s achievements to date and plans for the promotion of Cork as a destination in the coming year. It promises to be a highly interactive, dynamic session with presentations from Seamus Heaney, Head of Visit Cork, Evelyn O’Sullivan, Cork Convention Bureau, Ciara Gallagher, Meet in Ireland, and Monica MacLaverty, Manager, Southern Europe Tourism Ireland. There will also be excellent networking and cross promotion opportunities. “We encourage everyone involved in the tourism industry in Cork to attend the Pure Cork Industry Day and explore how they can work with Pure Cork to enhance their business and help collectively promote all that Cork has to offer to domestic and international business and leisure visitors,” said Seamus Heaney, Head of Pure Cork. The Pure Cork Industry Day will take place from 10.30am-1.30pm, with registration from 10am. All tourism businesses are encouraged to submit their festival, event or business details to the purecork.ie website, which was launched in summer 2018. Register today for the industry day on http://purecork.clr.events or contact the team at Pure Cork on (021) 431 8036. Guinness Cork Jazz Festival, McCarthy Insurance Group and Michael O’ Flynn were the big winners at the Cork Business Association’s Cork Business of the Year Awards, which were held in Clayton Hotel Silversprings on Saturday 23 February. A further 9 industry awards were presented on the evening. The awards, which are run in partnership with JCD and The Irish Examiner, recognise the outstanding contribution of businesses and individuals working diligently across varied sectors of business in Cork City and its environs. Takashi Miyazaki is the first person to have brought a kappou-style fine dining Japanese restaurant to Ireland and by extension Cork. The 25-seat restaurant, which opened in April 2018, is located at no 5 Fenns Quay, Sheares Street. To describe the incredible quality on offer, a food critic recently said “Mr Miyazaki doesn’t just want to satisfy your appetite with his cooking, he wants to feed your soul”. Incredibly despite only opening in April, Ichigo Ichie has already being awarded one of Cork’s first Michelin Stars. A remarkable achievement in such a short period. Crawford Art Gallery is a National Cultural institution and a regional art museum for Munster. It is home to over 4000 works of art. It is dedicated to the visual arts outside Dublin and the Gallery excels at multidisciplinary exhibitions that include paintings, film, objects and digital imagery. Displaying innovative exhibitions from their own collection containing historically important works such as Harry Clarke, Lavery, William Orphen and temporary exhibitions from Francis Bacon and Robert Ballaght to name but a few. They also provide in-house and outreach Learn and Explore Programmes which foster a sense of history, place, context and culture to a wide audience at local, national and international level. Numbers continue to grow and over 230,000 people visited during 2018. Meitheal design Partners are an Architecture, Design and Planning Consultancy business based in Father Matthew Quay Cork with offices also in Dublin and Kenmare. This award-winning design consultancy has emerged from the recession and is now the largest indigenous Cork architectural practice. Their strong commitment to a client focused philosophy has seen their business grow to such an extent that soon they will be announcing their 5000th commission since opening their practice in 2003. Located in Georges Quay, Café Velo is a bicycle–themed café and roastery that aims to bring their customers the best of local produce for breakfast, lunch and brunch seven days a week. The majority of food is prepared in-house with the best of ingredient – they cook and slice their own ham and Spiced Beef and make their own salads, jams, soups and sauces. Recently they started their own in-house roasted coffee at their new coffee counter. Café Velo is now one of the most popular café’s on the south channel of the city proving that good produce and great customer service is always successful. Greene’s Restaurant is Located in the heart of the Victorian Quarter in Mac Curtain Street. Beautifully situated overlooking a large waterfall, it certainly has the wow factor. Greenes is fine dining at its finest – all menus are exclusively filled with produce from within 50km of the Hotel. The food at Greenes is innovative, modern and devoted to place and uses the outstanding ingredients that are available in Cork to deliver a truly exceptional dining experience. Gallagher’s Gastro Pub is a Bar & Restaurant situated at the corner of Mac Curtain Street at the foot of Cork’s famous Patrick’s Hill and is named after one of Cork’s most iconic musicians Rory Gallagher. Providing top quality food and drink in comfortable surroundings with an ambiance mixing old world and new. Gallagher’s has an extensive menu with something for everyone – you can enjoy a quick lunch, sumptuous dinner or even a Sunday brunch. Live Music is also a big part of the offering and Gallagher’s have their very own percussionist keeping the party alive each night. The Metropole Hotel Cork is located in the heart of the city and this year celebrates 121 years of Cork hospitality. It is deeply rooted in the history of Cork and is home to the Guinness Cork Jazz Festival. The Metropole is a 108-bedroom hotel which also has 9 conference rooms and 2 large banqueting suites and is a member of the Trigon hotel group. This year saw a huge €2.5m investment in refurbishment including the opening of the MET – their new restaurant, bar and tea rooms. Michael Hassetts’ passion for baking developed during his time working across Europe as a chef in the early 80s. Michael started his own bakery in Douglas in 1984 and opened his first shop in 1988. Hassetts now have shops in the English Market, Douglas Court, Blackpool shopping centre and a café in Carrigaline, employing 60 staff. They also have a thriving wholesale business supplying many restaurants and Cafés in Cork City and County. Within the last twelve months they commenced exporting to the USA, Germany, UK, France and Belgium. Founded in 1962 in The English Market, Kay O Connell started her fish merchants business with a small 14 x 10 foot stall. It is hard to believe that a business with such humble beginnings would achieve so much. Today it is instantly recognizable not only in Cork but nationally and internationally. In 1998 Pat and Paul took over the business and continued to drive it forward, but always ensured it retained the essentials of Character, Customer and Product. Retail changes and K O Connells is adapting to that change as a third generation of family join the business – they have opened their own smokehouse in Bandon and recently opened a new store in Dunnes Stores in Bishopstown Court. For more than 40 years, the Guinness Cork Jazz Festival has stood tall as one of the most iconic festivals on the national cultural calendar. Held annually over the October bank holiday weekend since its inception in the Metropole Hotel in 1978, the festival has a proud history and is worth almost €45 million to the local economy. 2018 was an outstanding success. The Festival received national and international public and critical acclaim, under the helm of new Festival Director Sinead Dunphy, whose vision saw the Festival grow dramatically, resulting in a large increase in revenue to the city. 1,000 musicians from more than 20 countries flew into Cork for one of the most exciting weekends of jazz music performances ever to take place in Cork, with free entertainment in more than 70 pubs across the city. The event also spilled out into the streets of Cork with a New Orleans inspired Dia de Los Muertos Jazz Parade, with thousands lining the streets to watch in awe. McCarthy Insurance Group has grown from humble beginnings in a small office in Fermoy, in 1952, to becoming the Largest Family Owned Brokerage in Ireland! They have eight offices in Cork city and County with nearly twenty other Cork brokerages. McCarthy Insurance Group covers every type of cover that you can think of – from General Insurance to Travel, Mortgage and Car policies, to business premise insurance, multi-business insurance and multi-national policies, including a Group of Manufacturers with ten plants in the EU. Right up to holding over €200 Million in funds for clients!! The Group employs around 200 staff, with specialists in niches areas, such as Hair Salons, Hotels, and the Food and Drink Industry. With Gross Written Premiums due to exceed €100 Million by 2020, this Group will be the Largest Family Owned Brokerage in Ireland, and they have plans for ambitious growth and further acquisitions in the next 5 years! The origin of this award comes from an idea from two recently departed CBA friends James O Sullivan & Owen O Callaghan. They wanted to create an award to recognise an individual who over their lifetime has contributed not just to business but has left their mark on society in general. Commenting on the winners, President of Cork Business Association Philip Gillivan said, “Our awards night is a celebration of the Cork business community who are driving our local community. It’s a celebration of businesses who go above and beyond, and it’s a celebration of employers, proud employees and ambassadors of our community. The CBA’s aim is to recognise the value and achievement of Cork businesses who have contributed to or promoted the enhancement of the commercial, cultural or civic life of Cork, and to encourage business excellence in the city.